Home > housing, Memories	> Time and space – memories. Read about Zeno’s paradoxes and all this may be refuted. 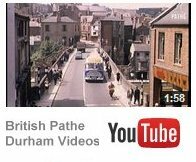 I had feared I may have been born in some distant region of the universe, but, I may after all have been born in Ushaw Moor. Wonder what W.B. thinks.